We all think we are safe indoors, when weather gets rough we instinctively look for cover. But what if that space isn’t as safe as we assume in other aspects? Indoor air quality of some buildings can be more polluted than outside air – upto a staggering 10x’s more polluted. When it comes to indoor air, cleaning ductwork regularly can be immensely helpful, as can professionally cleaning carpets, however hiring a company that is professionally certified in Indoor Air Quality (IAQ) will ensure the maximum safety for your family’s home and commercial workspace. You likely don’t spend all your day at home, thus the air quality in commercial offices are just as imperative as your home space. When was the last time the health and safety committee looked at the air quality logs? Want to help reduce potential downtime, and keep the bottom line humming, as well as be at or above standard with regards to workplace safety? Having an air quality assessment is paramount. You don’t just want anyone in your space whether it be the home where your children (or fur babies are) or the office where important documents reside. You can feel confident with your choice by choosing a certified National Air Duct Cleaners Association duct cleaning company for your Oakville home. To be a NADC member, each candidate must have proper liability insurance coverage, sign a code of ethics, and adhere to strict standards, to do everything possible to protect you the customer, and to do the best cleaning to their ability. Some companies have many employees and have great coverage area, such that if you have multiple rental homes, commercial office, retail or warehouse space you can save yourself a pile of time and paperwork by hiring one company, instead of hassling with multiple techs and cheques to various companies. Have the company manage all of that for you, and minimize your paperwork by having them send the reports and updates of each location. Imagine making just one call to handle it all. See what others have to say, see how long they have been in business, whether they get referrals from previous clients and check 3rd party websites like Google My Business, Homestars & Yelp to see past customer reviews. As a recognized industry leader for over 10 years, Canaduct Duct Cleaning specializes in comprehensive duct cleaning, as well as maintenance and repair, along with the highest standards of integrity in the industry. 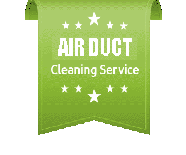 Our stellar reputation in cleaning air ducts is the result of our utmost professionalism and extremely hard work; our ultimate goal is to satisfy every customer no matter what the job. Fill the form below for an instant Duct Cleaning Oakville Quote request or give us a call at 416-410-3777.